Hey everyone, welcome back to a fresh edition of Participation Award Magic. I’ve got a spicy one for you to chew on this week. However, Woke is a great word to describe the deck I’m bringing you today! 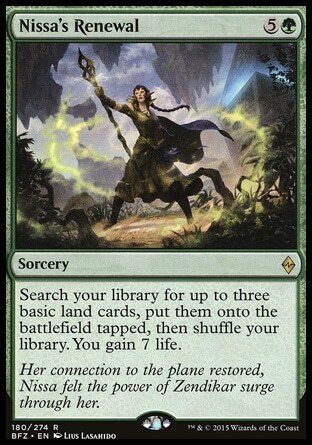 So our game plan is pretty straight forward, we’re going to play lands, as many lands as we possibly can, then when the time is right, we’re going to get those lands woke (or turn them to 2/2’s, whatever you want to call it). So lets take a look how we’re going about this plan. We have a mix of spells and creatures that we’re going to use to ramp our land base early in the game. 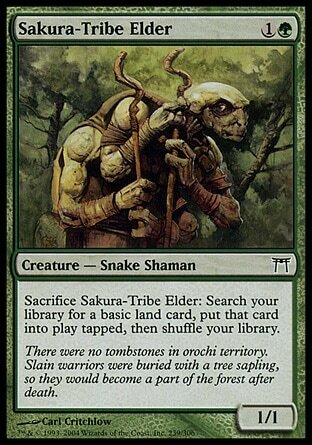 These serve a variety of purposes, Tribe-Elder, Rampant Growth & Ruin in their Wake are straight forward 2 mana ramp. 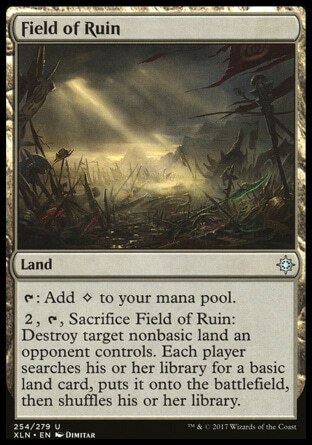 They should be our T2 play most games to get our lands moving, Ideally we’ll fetch our Wastes first because we have green mana to turn on Ruin. 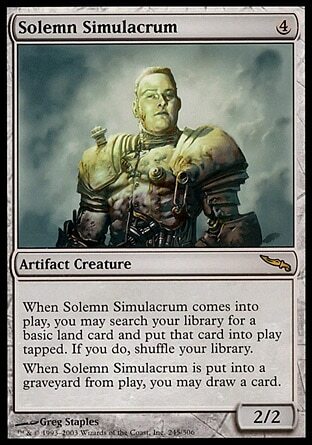 After that, we’re looking at Solemn Simulacrum to push our land count higher and hopefully chump block for us and draw a card. 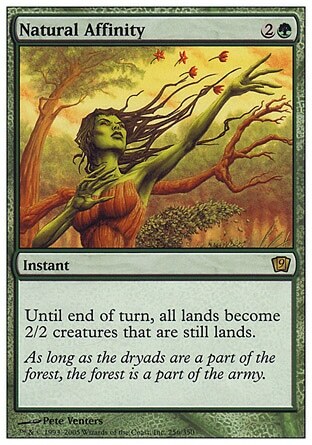 Nissa’s Renewal is an important card in our top end for a few reasons. 2) Gaining 7 Life is very important against fast moving decks that try to get under us or to get us out of reach against burn decks. So we’ve ramped up early, what is our game plan from there. Play big dudes? Combo? How do we avoid just dying while we ramp? Calm yourself friend, our plan is to grind our opponent out of the game. 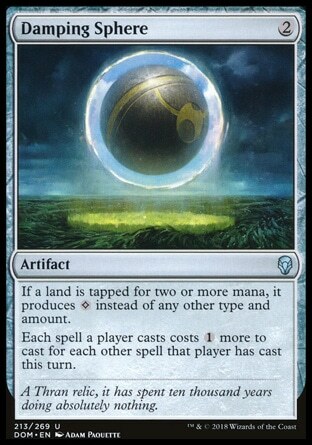 Keep their board clear with a recursive engine using lands, spells and a board sweeping artifact. 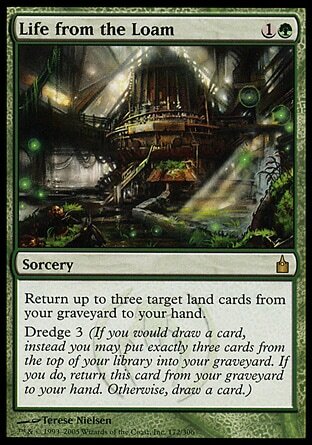 Life from the Loam is a great engine in our deck. 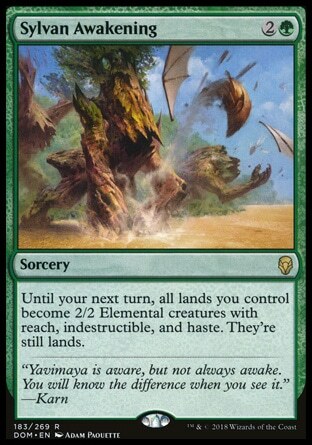 We don’t use this in quite as degenerate a way as some decks do, but the fact it can grab back the lands we sack is the most important interaction in our deck. 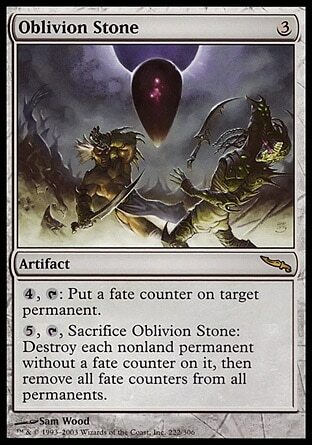 The general idea is to create a recursive loop with Oblivion Stone and Buried Ruin. This is not the most mana efficient process, but ideally we are able to generate enough mana as the game pushes forward that it is effective at keeping the board as clear as possible. 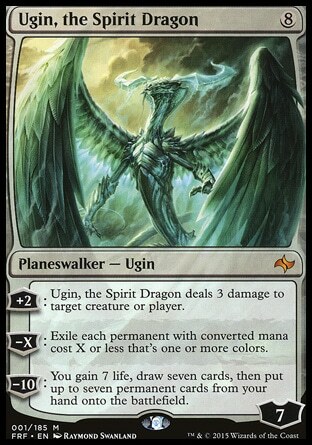 We run a single Ugin, The Spirit Dragon to help us keep the board clear, but also as an alternate finisher if needed. There is a good chance we’re able to naturally ramp into casting him most games. Being colorless he’s a great fetch target with Ancient Stirrings in the late game. While Ugin is a great way to gain control of the game, and will certainly end the game if left unchecked, it’s not the fastest way to end a game. We’re looking wayyyyy beyond that man. Join me in becoming overwhelmingly woke friends. This is the crux of it all, this is why we’re doing everything we’re doing. When we can create an army of 2/2’s out of our lands, If we’re able to keep the board clean we create a great way to suddenly end a game. Now, these effects are not exactly the same. So lets take a look at how we’re addressing their differences. 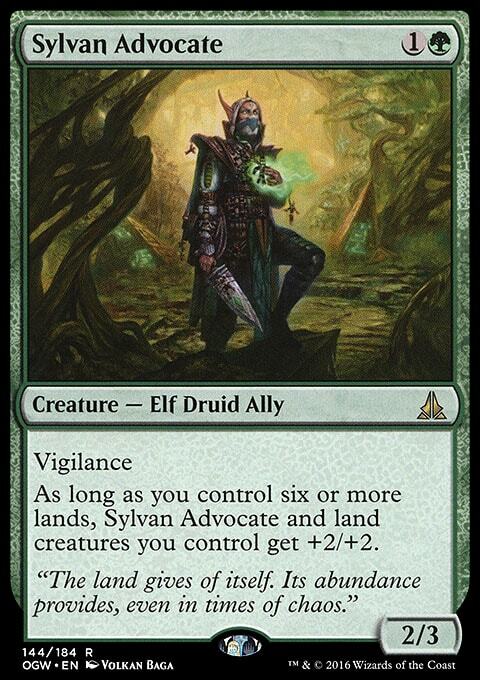 Sylvan Advocate, a standard all-star. His body is a great rate at only 2 mana, and in a deck that is ramping their mana base, he gets quite large and is both an effective attacker and blocker. But it’s the second half of his text that is most interesting. You’ll note above that our spells to get our lands woke turns them into creatures… but they remain lands. 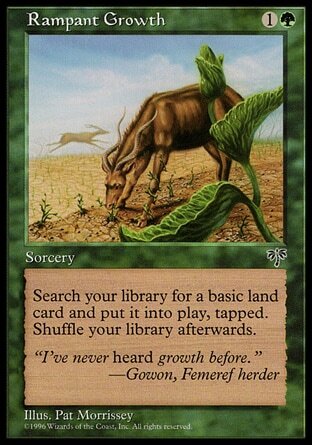 Advocate only benefits OUR land creatures, so even with just 6 lands, tapping 3 to cast awakening has us attacking that turn for 16. You can see how quickly this can get out of control as we continue dropping lands, and hopefully controlling the board with Oblivion Stone. Throne of the God-Pharoah has an interesting interaction in our deck. We are able to turn all of our lands into creatures at any moment. We can then tap all those creatures to cast spells but more importantly, they will still be creatures at the end of our turn. 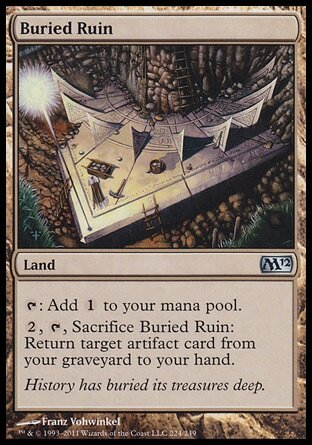 This means our mana base is effectively able to ping our opponent through cards like Ensnaring Bridge or Leyline of Sanctity. It is fetchable with Ancient Stirrings, and able to be recurred through our mana base. 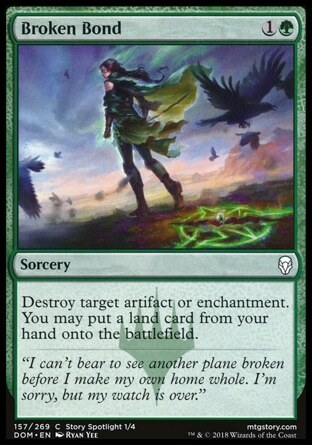 This is a very effective card for killing our opponent when they least expect it. 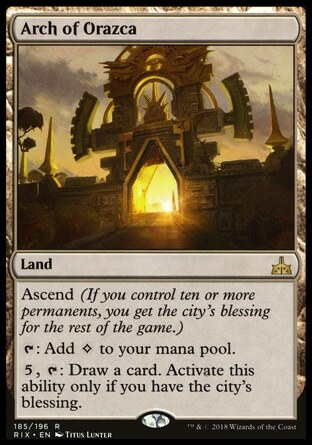 We have a variety of Utility lands to help us deal with various decks and situations. 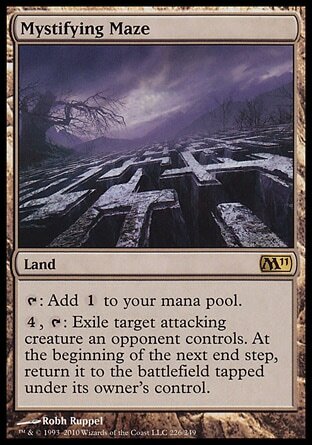 Because we have a mono-colored mana base, it is easier to fit these colorless lands in to help us. 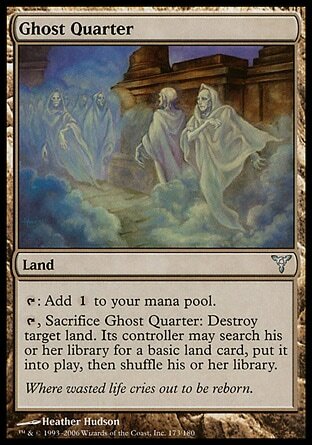 Field of Ruin and Ghost Quarter are to help us against unfair mana decks like Tron. 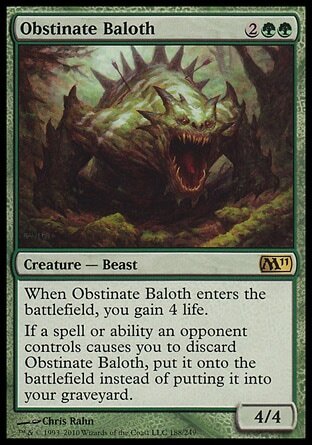 They can also be used to punish players with Life from the Loam by forcing them to get all their basics out of their deck while we can continue getting them from ours. Ghost quarter locking a player through Life from the Loam & O-Stone is also possible. Mystifying Maze helps us deal with single large threats when we don’t want to pop our O-Stone too early, while Scavenger Grounds helps us deal with graveyard decks. Unfortunately we only get one use out of this as it will be exiled with the graveyards. 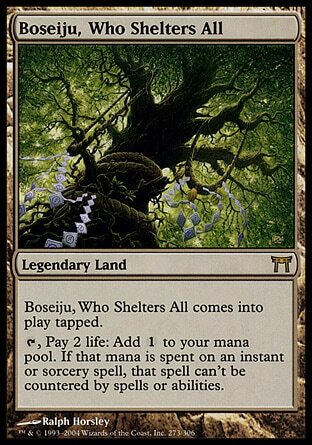 Boseiju is a very powerful land against control decks who will try to counter our Woke spells, and because we have Life from the Loam is a very difficult land for them to get rid of. We can recur it if needed. 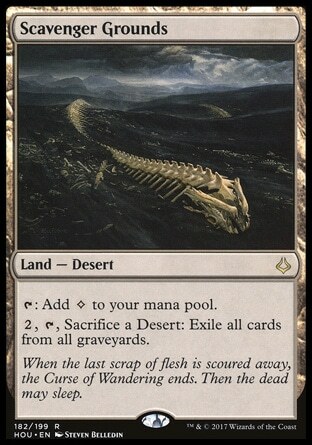 The remaining lands are basic. Twelve Forests and a single Wastes to fetch up with all of our spells. 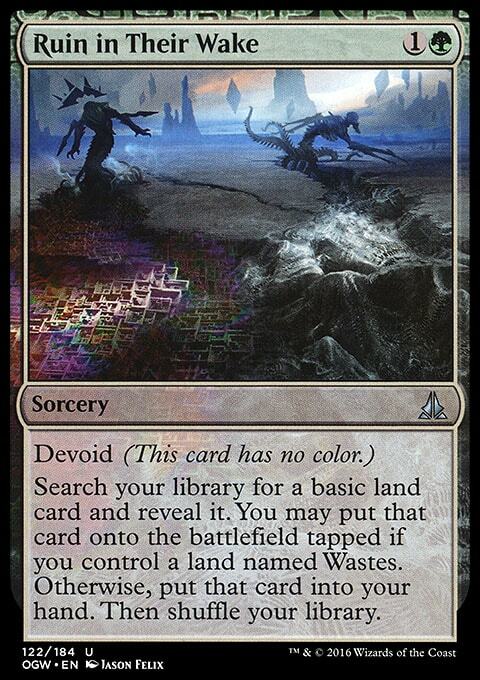 The Wastes is in the deck almost entirely because of Ruin in their Wake, but also are a small benefit for our sideboard. Being Mono-Green, our deck is likely soft to combo decks trying to do very unfair things. However, because we’re a ramp deck, we can afford to pack our sideboard with cards that hate on many strategies at the cost of a small expense for us. Damping Sphere is the new hot stuff from Dominaria that makes it difficult for decks like Storm to go off. 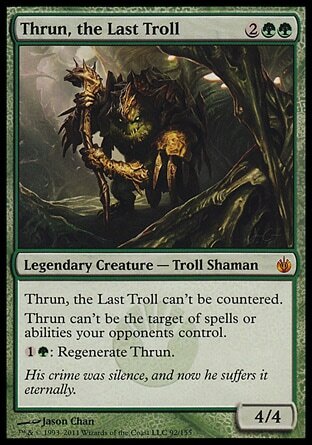 However, it’s also effective hate against Tron and decks trying to cast multiple spells a turn. 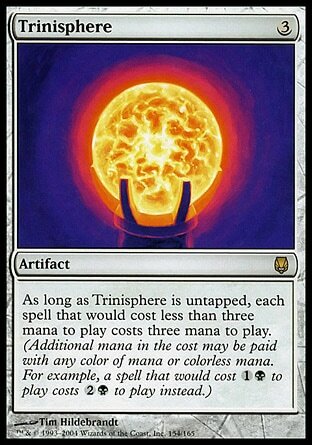 Trinisphere is backup hate against decks trying to do unfair things, at discount prices. 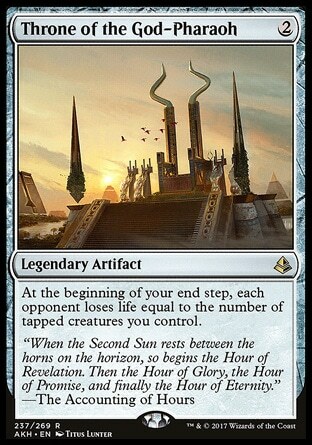 The issue with decks like Storm, Tron, and most other combo decks is that they are used to the hate, so if you’re going to play these types of hate cards, then you should also be able to present a fast clock against them. 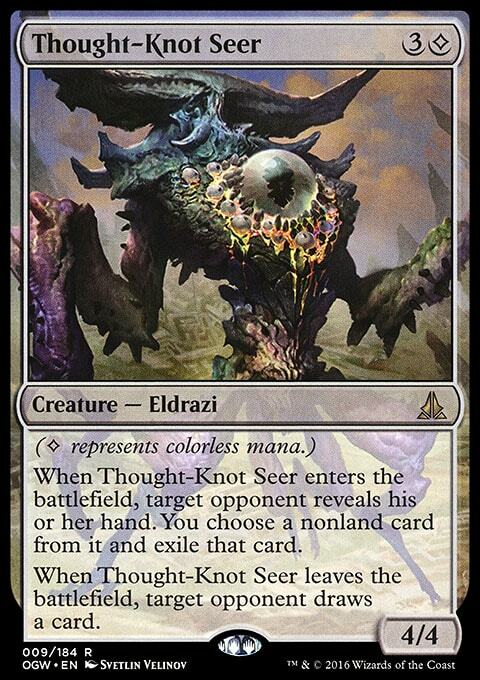 Thought-Knot seer is very dangerous, disruptive, and is able to come down early because of our natural ramping. We have these two in our board to fight control decks or Liliana of the Veil decks like 8-Rack. Our normal game plan may be fairly effective against both these strategies anyway, but it’s a good idea to have a bit of a trump card in the matchups. 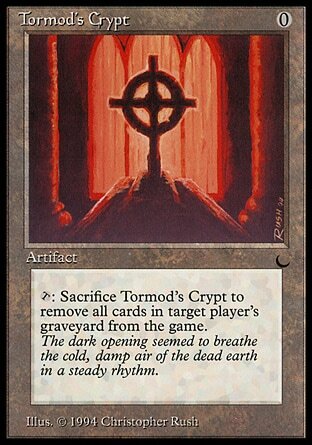 We have a few Tormods Crypt in the board to fight graveyard strategies and as it’s recursive with our Buried Ruins if needed and fetchable with our Ancient Stirrings. Finally, we have another Dominaria card I really wanted to play. It’s not as mana efficient as some cards with this effect, but the ability to ramp us & remove hate for a very good rate is interesting and warrants us testing it out. So that’s our deck, I have no idea how well this game plan will play out, but I believe I may be more excited about this deck than any of the other Participation Award Decks I’ve tried so far. It’s got a very interesting game plan. I’ll be sure to update this article after I’ve had enough time to put it through some matches.